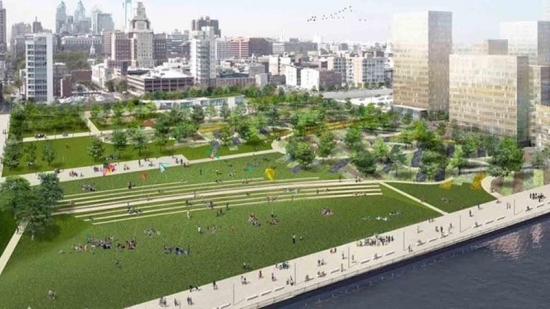 Mayor Jim Kenney unveiled plans for a multi-million dollar park that would bridge the gap between Old City/Society Hill and the Delaware River waterfront. The 11-acre green space between Chestnut and Walnut Streets would act as a cap over I-95 and Columbus Blvd. Today, the only way for a pedestrian to get to the river from that area of the city would be to walk across the Chestnut or Market Street extensions and then down stairs. This project would create a whole new space and finally provide a real connection between the city and the water. The city will provide $90 million of the $225 million project. A Montgomery County man has been arrested for recording inside a high school locker room with a cell phone. It happened around 11 a.m. on February 18th. Pennsylvania State Police say that John Lyons Jr. of Collegeville entered the boy's locker room at Perkiomen Valley High School on the 500 block of Gravel Pike in Perkiomen Township and began reporting. At the time of the incident the school was hosting the Perkiomen Invitational Swim Meet. Girls from area swim teams were using the boy's locker room. The students were clothed in either swimsuits or street clothes according to the school district. Lyons was arrested and has been charged with Invasion of Privacy and related charges.